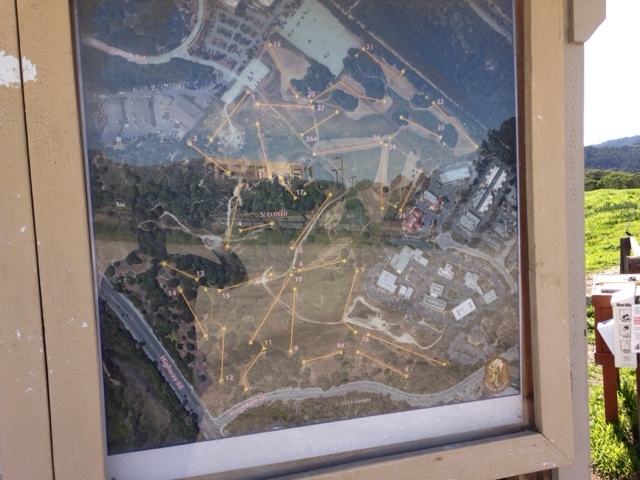 I have been busy touring the area and posting to my blog and haven't had the time to play disc golf. Today was the day with 10 mph wind and 64 it was a great day to play. 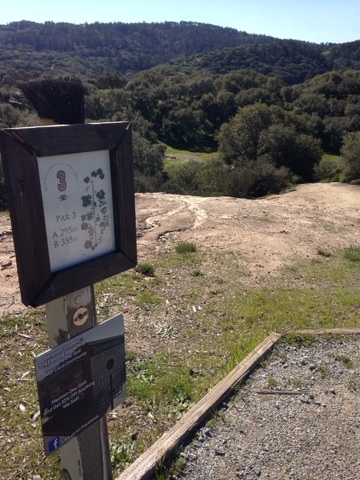 Ryan Ranch Disc Golf is on the top of my list of places to play. There is a lot of challenges with steep hills, trees, fields with wind, a bit of everything. 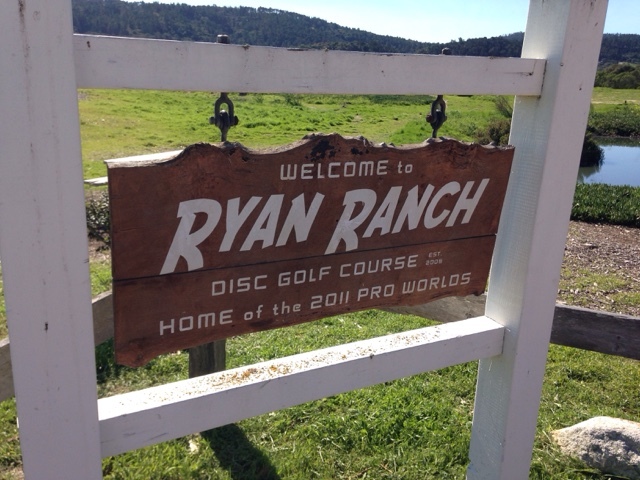 Ryan Ranch sits just east of the Monterey airport so the course is just under the flight line, mostly for approach. I know thermistor much glare but this is a double course. The lower is what I played down and then up the hill. Just a little poison oak. Not too bad. The upper 18 is more a field on a slope. Both courses are 18 holes for 36 total if you are up to it at one go. 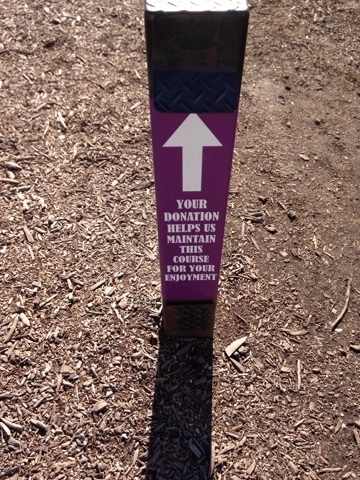 I haven't played here in some time but they now solicit donations. I'm glad to give them $5 to keep it up. I love tossing discs off of hills with the basket at the bottom in the opening down center. I had a good through landing my disc on the trail on the right to a perfect layup for a put in 3. I don't like playing to an sudience. 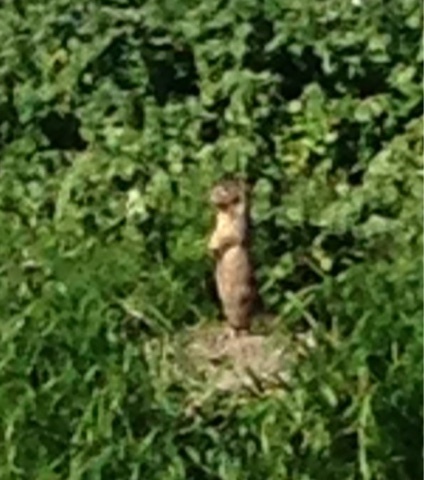 There were hundreds of these gophers watching me play. I actually played 20 holes as there is 7a & 8a and I played both 7 & 8 as well as the alternates. I don't have a long driving arm but i'm good at mid-range and putts. Last year I would typically drive about 150 feet, but today I was driving 180 feet. If I can only hope to keep this going.